Egg Washing - Is It Really Needed? This debate seems to be never ending: do you need to wash your eggs or not? 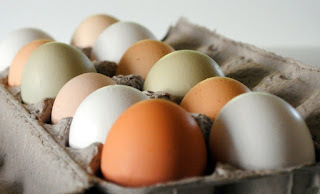 Ultimately, it depends on how clean your eggs are naturally and whether or not you sell your eggs. When an egg is laid, it is covered in a liquid membrane called the ‘bloom’ to protect the shell from absorbing bacteria and contaminating the egg. With this shield intact, the egg does not need to be refrigerated and can sit at room temperature for 1-2 weeks. Lightly brushing the egg with a dry cloth to remove any dirt or manure would not damage the bloom; however washing the egg with water would remove that shield. If your eggs are especially dirty, you would want to wash them to keep bacteria from entering the egg once it’s cracked. If your goal is to not have to wash your eggs, keep nesting boxes clean and collect eggs frequently, this will help avoid the eggs getting dirty. It is recommended to wash the egg in warm water right before use. Once the bloom is removed there is nothing blocking germs from entering the egg, so washed eggs do need to be kept in a fridge or consumed right away. Keeping eggs in the fridge increases their shelf life to several weeks. 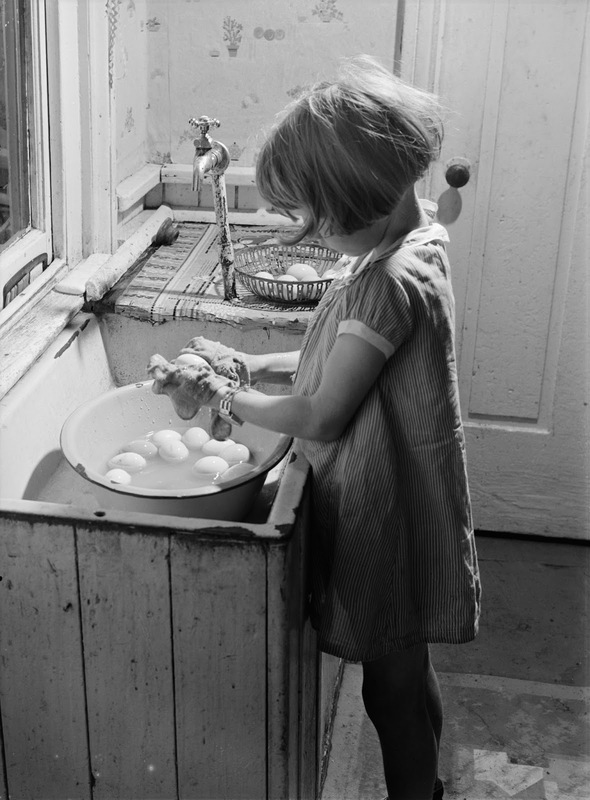 Interestingly enough, in Europe, washing eggs is illegal. This is said to actually promote cleanliness on farms. 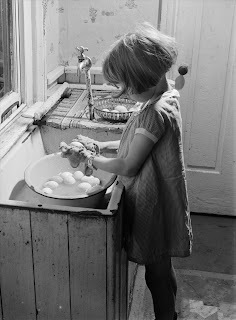 Since they cannot wash their eggs, no one will want to buy eggs if they’re dirty so they produce the cleanest eggs possible. Eggs in other countries are sold at a grocery store on an unrefrigerated shelf. In an American supermarket, you would find those eggs in a fridge near the milk and cheese. The European Union regulates that eggs should not be refrigerated until sold to the final consumer. Any change in temperature could cause eggs to sweat, be covered in condensation and promote the growth of bacteria. Here in the US, commercially sold eggs are required to be cleaned and sanitized with a chemical solution, their protective coating is removed, so the eggs need to be refrigerated to prevent the growth of bacteria. The USDA recommends keeping the eggs at a consistent temperature that should be 45°F or lower. So, if your chickens are laying clean eggs for your own consumption, then no you do not need to wash your eggs. Those chickens have created a natural defense against bacteria for you. If you are selling eggs at a farmer’s market or grocery store, be sure to research your local egg handling laws. These vary from state to state and have strict regulations of how eggs are to be sold. WHAT IS THE LOCAL HENS BRAND? 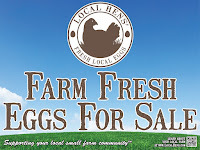 Local Hens is a free marketing tool to connect local egg producers to consumers. The Local Hens website offers egg producers the opportunity to create a free farm profile that is searchable to consumers nationwide by typing in a zip code. This allows egg consumers looking for locally grown eggs to find farms in their area. Many customers are becoming more knowledgeable and dedicated to providing fresh, locally sourced food for their families, but it can still be difficult for producers and consumers to connect. Without large scale production and marketing teams, small farms often rely on generic packaging and roadside signs or word of mouth to reach their consumers. Local Hens offers small scale producers professional grade packaging, signs and website profiles to farmers. The Local Hens line of premium egg cartons, promotional materials and the Local Hen Farm Directory are the perfect marketing solution for any small farmer. Start with a Local Hens Farm Directory page. Create your free profile and start promoting your business online. Your profile will include maps and directions to your farm or market, pictures, a description of your farm and any sales or goods you offer, and any other links to social media or other sites you own. Local Hens also features one farm a week on their Featured Farmer page which is promoted through Local Hens and the Egg Carton Store social media pages. This free resource is available to you to help you gain customers and exposure in the community! Use the Local Hens promotional materials to your advantage. 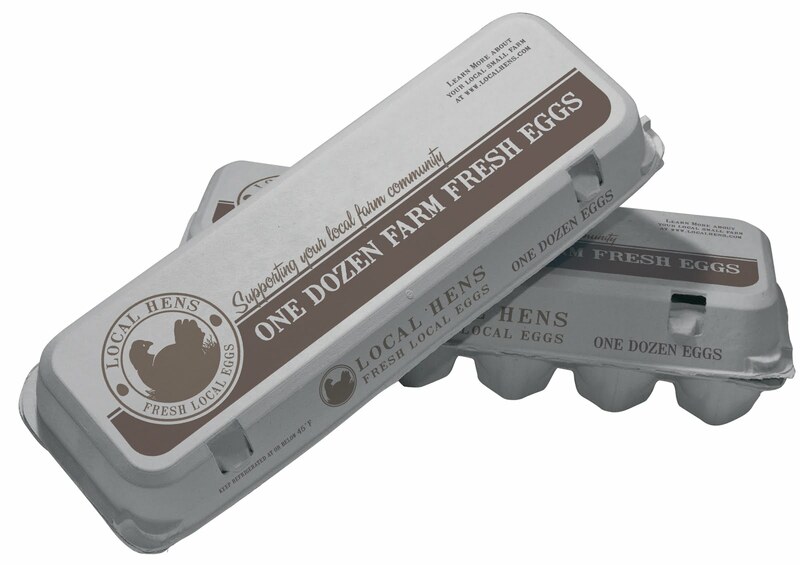 The Local Hens brand provides premium egg cartons, farm stand advertising, and in-store merchandising options available for purchase to build your brand. There are many customizable options available to you also; create a stamp with your farm name and information or perhaps an egg stamp or sticker label will add value and a personalized touch to your cartons. This brand will let consumers know who you are and where to find you. You might find Local Hens eggs in a supermarket or organic food store, a farmers market or roadside stand – maybe a neighbor just hands you a carton. The Local Hens brand helps small local egg producers bring their goods to market. 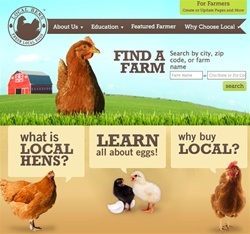 With the Local Hens Farm Directory, consumers are directly linked to egg producers nearby. By searching by farm name, city/state or zip code, you are able to locate local farms in your area. Look through the options and see if any of those farms fit your needs. Contact any farm directly to see about any products you are interested in.